MUNICH -- BMW said third-quarter earnings before interest and tax (EBIT) rose 17 percent to 2.26 billion euros ($2.83 billion) as surging demand for its SUVs more than offset slow sales of its electric cars and Mini brand. Net profit, however, slipped 1 percent to 1.31 billion euros. BMW said this was due to a higher tax bill and a writedown on the value of its stake in carbon fiber manufacturer SGL Carbon. Profitability at the automotive division widened to 9.4 percent of sales from a margin of 9 percent a year earlier, beating Audi's 9.2 percent and Mercedes-Benz's two-year high profit margin of 8.5 percent. BMW stuck to its forecast for a "significant" increase in 2014 pretax profit from last year’s 7.9 billion euros. "We continued to perform well in both the third quarter and over nine-month period within an increasingly challenging environment," CEO Norbert Reithofer said in a statement today. 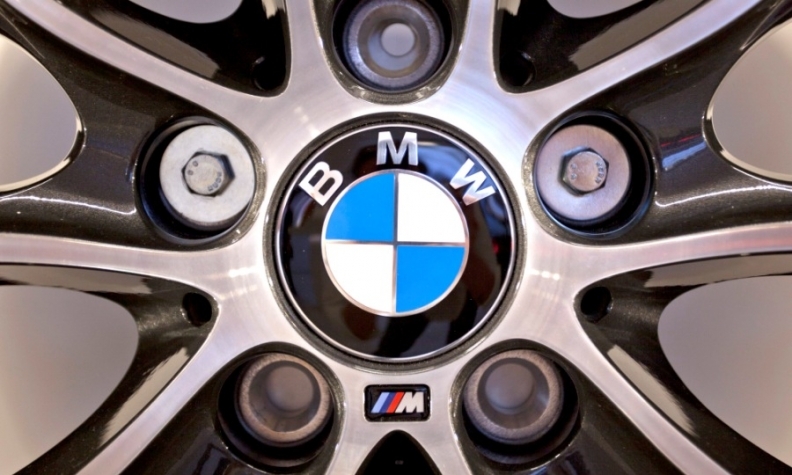 Group revenues increased in the quarter by 4.5 percent to 19.6 billion euros on the back of higher sales volume, BMW said. Global deliveries of BMW, Mini and Rolls-Royce brand vehicles were up 6 percent in the quarter to a record 509,669 units. Sales of BMW brand cars rose 7 percent, helped by strong demand for the X1, X4 and X5 SUVs. Mini sales were flat at 75,633. Mini's full-year sales are likely to be back to the high level of last year, helped by the new five-door version of the Mini entry-premium hatchback, BMW said. Global deliveries of Rolls-Royce cars increased by 8 percent to 891 units. "BMW continues to deliver very strong earnings and the outlook for the rest of this year remains very encouraging in our view," said Arndt Ellinghorst, head of automotive research at Evercore ISI Autos. Operating cash flow in the automotive division fell 36 percent as BMW increased production of new models for a global rollout. BMW has invested billions in developing electric car technology, launching its own "i" brand, but sales of the i3 hatchback failed to take off, reaching 10,199 vehicles by the end of September. Sales would have been higher but production constraints limited supply, Reithofer said today. In February, BMW said it had received "more than 11,000 orders" for the all electric i3 hatchback. "Expenditure on new technologies will remain high throughout the remainder of the year. One important factor driving this trend is the need to develop new technologies aimed at bringing down CO2 emissions even further," BMW said. Slack demand for electric cars has forced smaller makers such as Fisker Automotive Inc and Coda Automotive to file for bankruptcy, along with electric car charging network firm Better Place. More recently, both Daimler and Toyota said they had sold off their stake in electric carmaker Tesla, but both makers continue to make electric cars. But BMW has hedged its bets and also opted to make more and bigger lifestyle offroad vehicles, which already make up about 30 percent of its vehicle fleet. The United States has seen a resurgence in demand for sports utility vehicles thanks to cheaper fuel from shale oil, which will push the United States past Saudi Arabia and Russia to become the world's top oil producer in 2015. Earlier this year BMW said it would build an X7 model, and expand production at its SUV factory in Spartanburg, South Carolina, by 50 percent. BMW deliveries for the first nine months rose by 5 percent to 1.53 million cars, including a 34 percent jump in demand for the X5. Through September, sales of new cars improved in all regions, including Europe, Asia and the U.S., despite a 7.5 percent slump in sales for the Mini brand. BMW plans to deliver a record of more than 2 million vehicles this year. The company is adding models such as the minivan-like 2-series Active Tourer to thwart plans by Audi and Mercedes to take its No. 1 spot in luxury cars by the end of the decade. Last year, BMW led the pack among the German premium automakers, selling 1.65 million BMW branded cars worldwide. Audi was next at 1.57 million and Daimler in third place, selling 1.47 million Mercedes-Benz branded cars. While BMW’s sedans age, third-place Mercedes has refreshed the C- and S-class models and No. 2 Audi is rolling out the A3 sedan as it spends 22 billion euros by 2018 to catch up. Juergen Pieper, a Frankfurt-based analyst with Bankhaus Metzler, said: "Next year, I expect a slight tendency for BMW to lose market share as some models are a little older."